This ban by the ministry issued on June 16 and labeled “secret” came during a still ongoing visit by the United Nations Special Rapporteur to Myanmar – Yanghee Lee. Words “Rohingya” or “Bengali” are banned from use by the government officials during Lee’s visit, who is expected to visit the Myanmar’s State of Rakhine by the end of this week. Rakhine State is a home to a Muslim minority of over one million people. Buddhist nationalists strongly oppose the term “Rohingya” and call the ethnic group “Bengali” – a term used to describe people from neighboring Bangladesh. Buddhist nationalists denounced claims by the Rohingya people of their residence in the country which goes back for centuries. Many Rohingya were victims of sectarian violence that escalated in the State of Rakhine in 2012. According to some sources majority of the Rohingya people were denied Myanmar citizenship by the government. Myanmar, formerly known as Burma is a home to over a hundred different ethnic groups. The country of over 50 million people has had a violent history of repressive military regimes, sectarian violence and civil wars that are still ongoing. Some have claimed Myanmar’s civil conflict is the longest civil war in history, as 15 different groups are still in rebellion against the central government. Civil conflicts started in 1948 following the country’s independence from UK. Armed groups in the northern and northeastern states of Kachin and Shan are in rebellion against the central government demanding more autonomy to their states and the rights for self-determination. After two years of negotiations, a ceasefire between the central government and 8 out of 15 of the major armed groups was finally signed in 2015. Rakhine state is located in southwest Myanmar and is a home to two ethnic groups who strive for self-determination, the Buddhist Rakhine (also called Arakanese) and a Muslim minority – Rohingya. In 2012 a false news report of a Rakhine girl being raped by Rohingya men sparked sectarian violence that left many dead, mostly Rohingya. 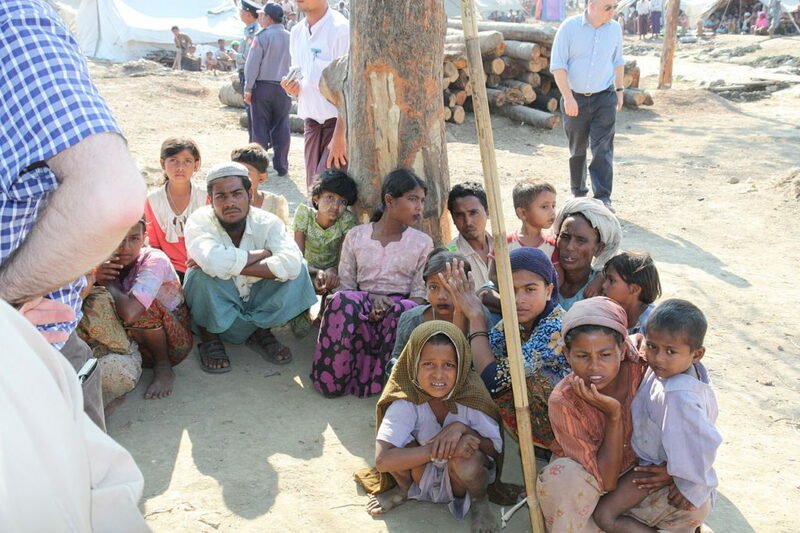 Over 100,000 Rohingya now live in camps for internally displaced persons.